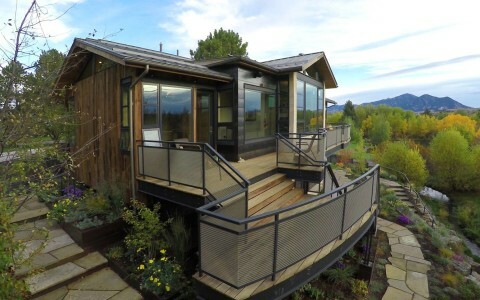 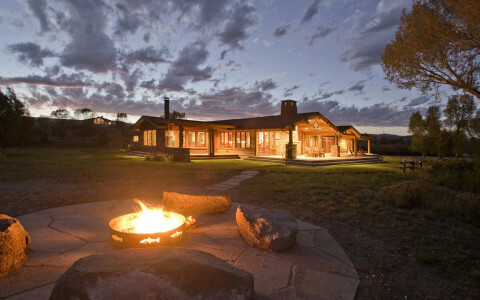 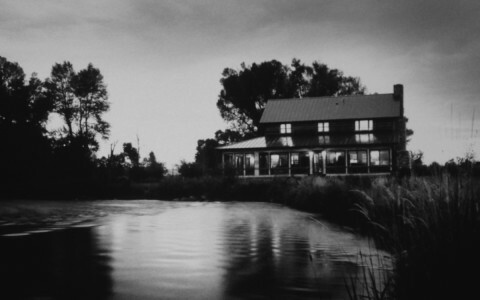 The Scott residence at Big Sky, Montana is nestled in the trees on a ridge overlooking the Upper Gallatin River Valley. 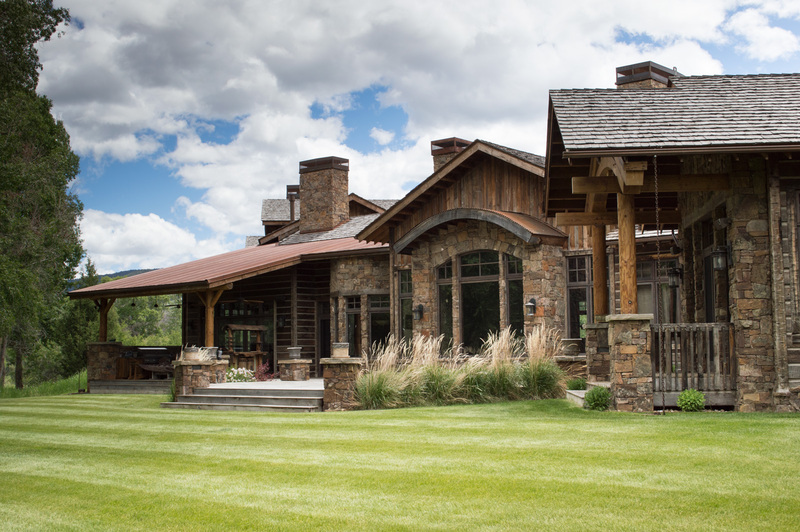 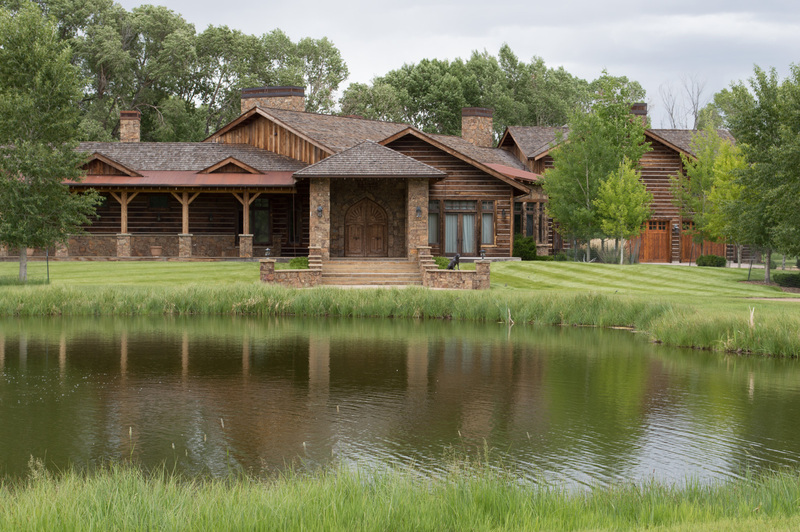 A design inspired by the landscape created a unique Western home. 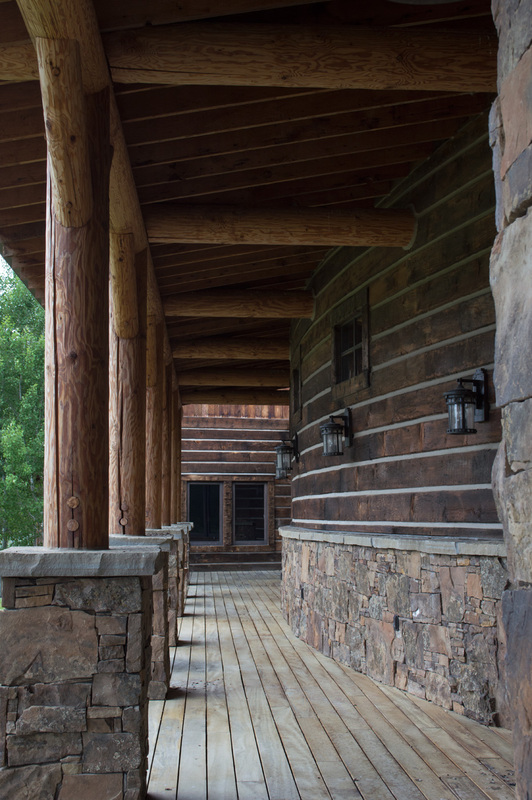 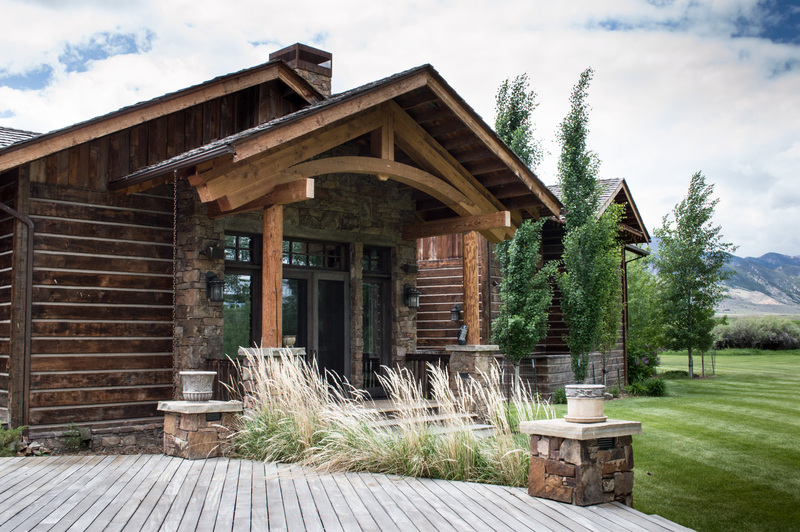 The two-story 5000 square foot Prairie style home features a three-sided central stone fireplace. 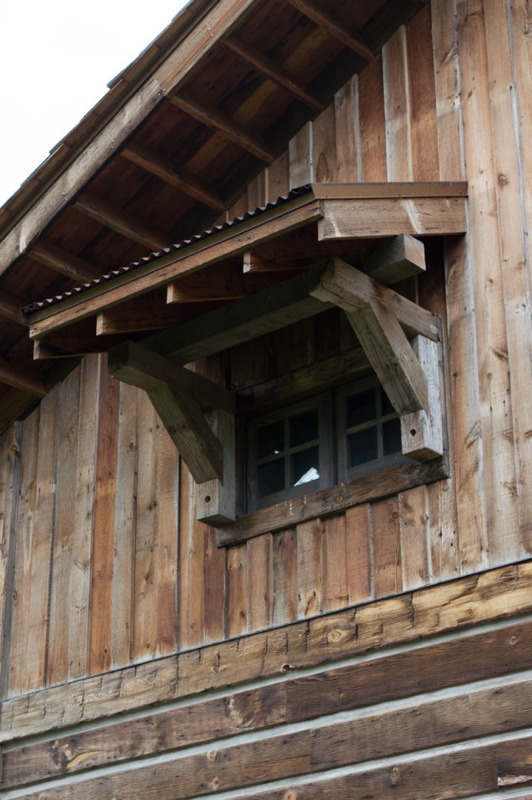 There are many large windows, custom crafted wainscoting, railings and built-ins throughout. 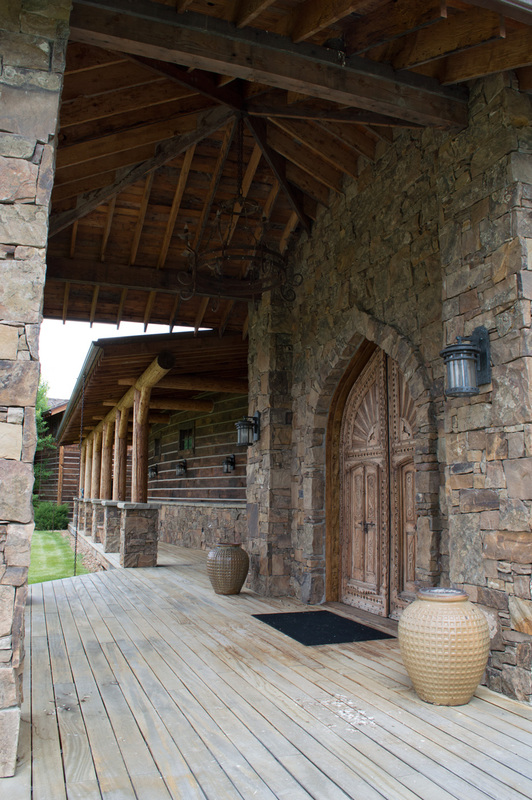 The rear of the house features a three-tiered stone paved deck with a built in hot tub. 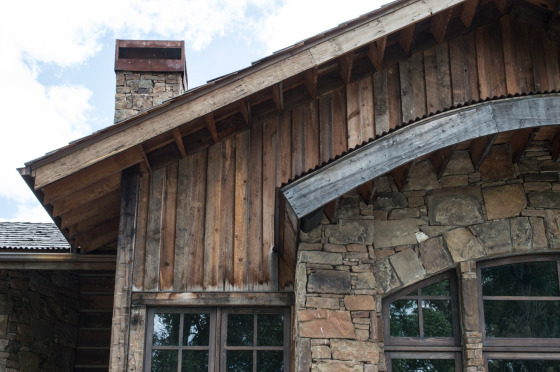 A stone veneer wraps both the house and garage, and is accentuated with stone columns at the corners, entry and decks.